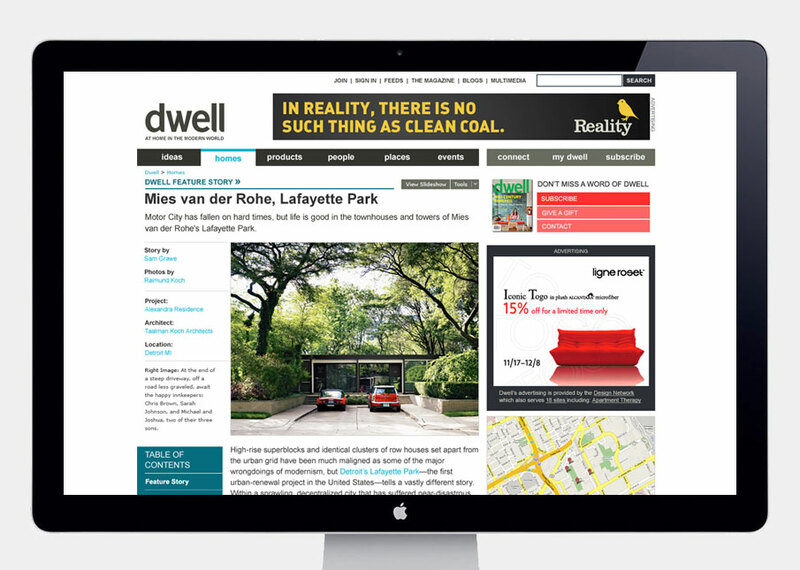 In collaboration with Hot Studio, Dwell's website experienced a wholesale overhaul early 2009. Working as design lead of the internal project team, we worked to extend the Dwell brand vocabulary to the online environment. Post launch, the project was taken in-house, where I designed additional pages and other elements.